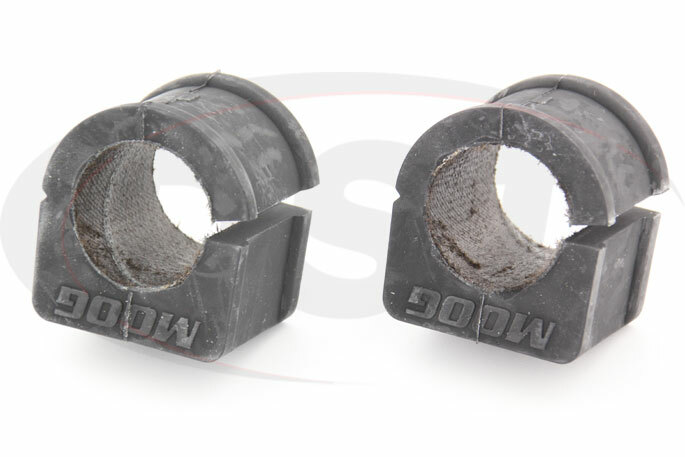 These 34.04mm (1.34in) front sway bar bushings are Moog's Problem Solver Solution for squeaky, vulnerable OE bushings that require regular maintenance. 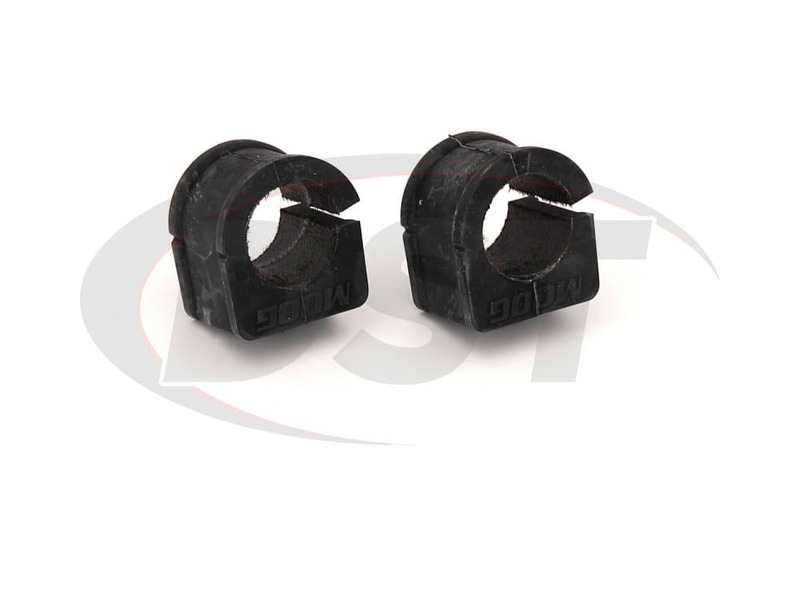 Thanks to the Synthetic Fabric Liner on the inside of these front sway bar bushings you can enjoy a quiet ride without hearing that annoying squeak every time the grease wears, or washes, out of those original bushings. 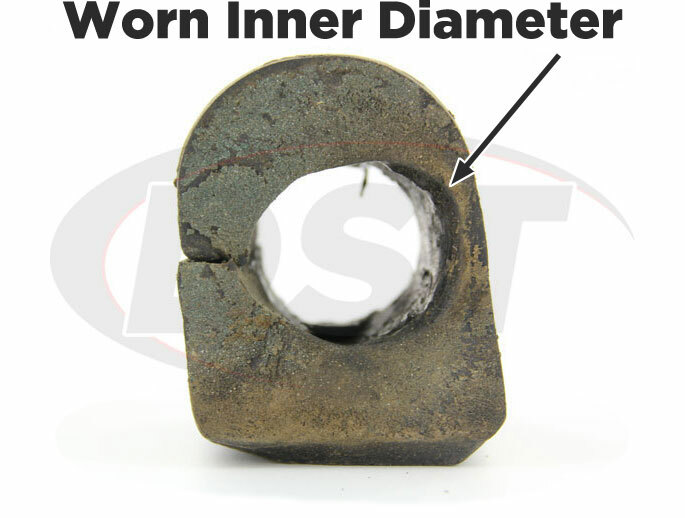 *Some of the vehicles in these year models have a smaller front sway bar that requires 29.97mm or 20.32mm front sway bar bushings, so it's advised that you measure your sway bar before purchasing your bushings. How Secure is Your Sway Bar? 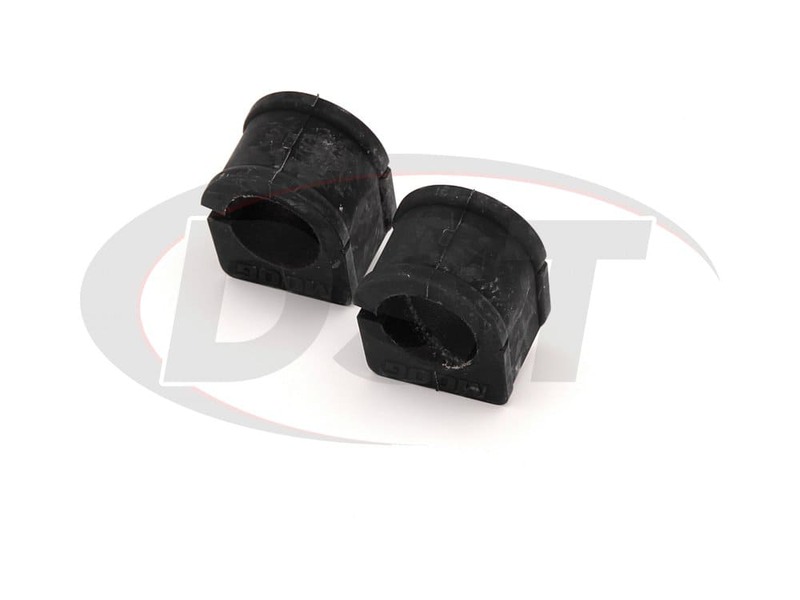 The suspension bushings on your Chevy, Pontiac, or Buick are responsible for absorbing the bumps and jolts of everyday driving. 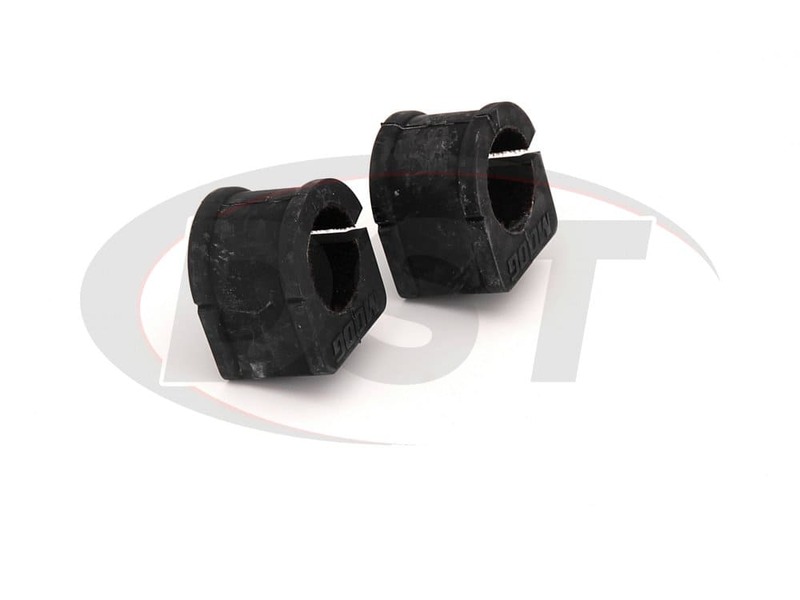 This can take its toll on the sway bar bushings which helps keep the inside wheel in contact with the pavement during a hard turn. 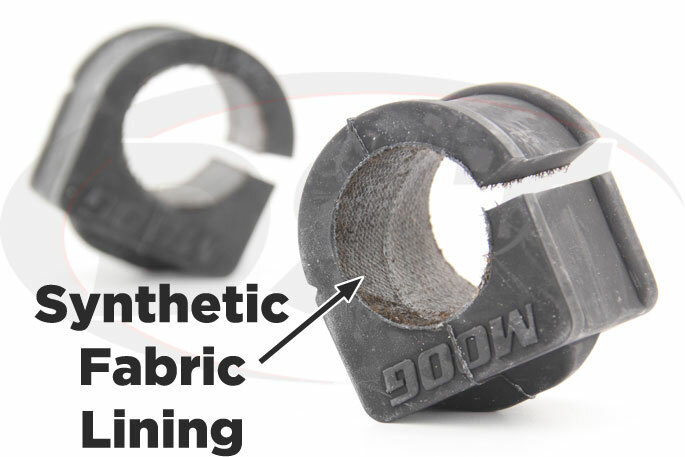 The original bushings need grease between the rubber and the bar to ease friction and this means they need to be maintained to work properly, but eventually, the bushing will wear down and need to be replaced. If you like doing vehicle maintenance at home to save money, or just to know exactly what is being done, then you know it's nice to have parts that require little to no maintenance. When you have to replace those original bushings, why not use a more durable sway bar bushing that doesn't require maintenance? 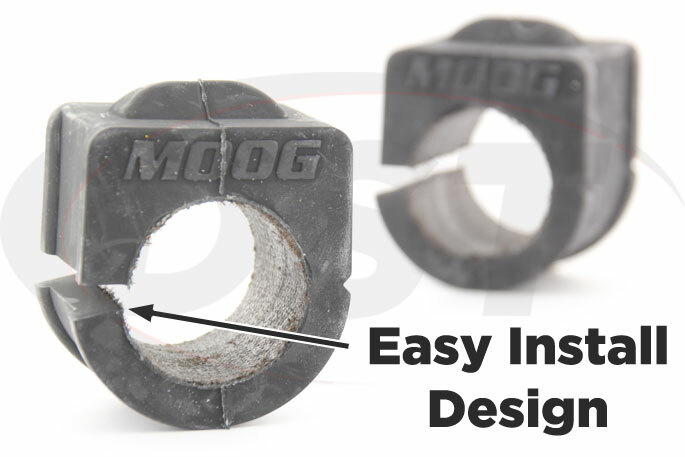 If that isn't enough, you can easily install Moog Problem Solver sway bar bushings right in your own garage or driveway. 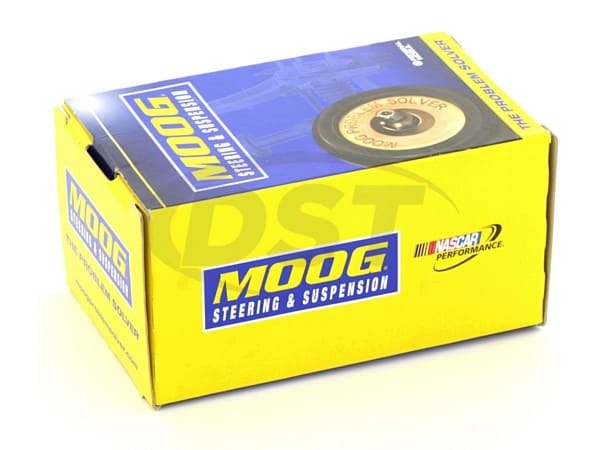 Moog's Problem Solver 34.04mm Front Sway Bar Bushings with a Synthetic Fabric Lining will improve the ride of several Chevy, Pontiac, and Buick vehicles that come with a 34mm front sway bar, like the 2014 Impala Limited, 2007 Monte Carlo, or the 2005 Century. The synthetic lining provides a greaseless barrier that eliminates squeaking without regular maintenance, which is nice if if you don't want annoying noises as you're cruising around downtown Fort Worth looking for parking near Texas De Brazil. 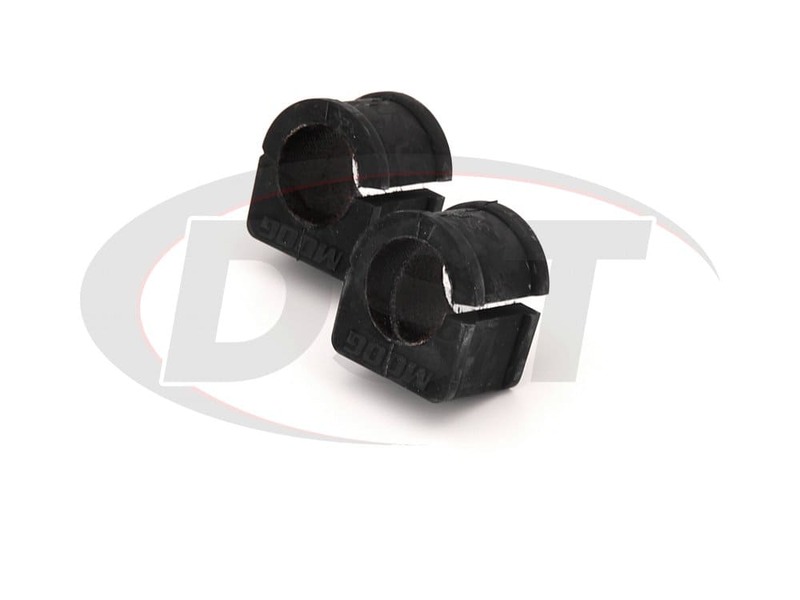 These sway bar bushings also last 3 times longer than OE bushings thanks to that inner lining. 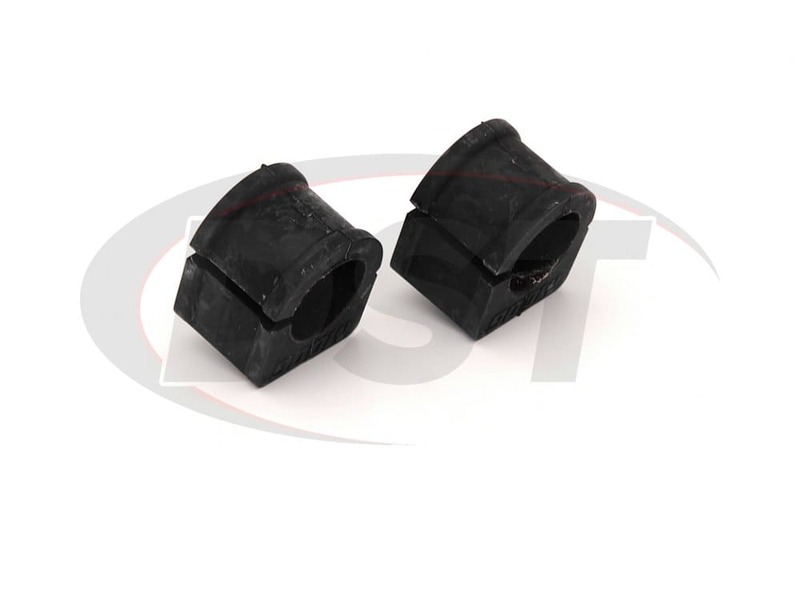 Many rubber sway bar bushings can prove a hassle to install since the sway bar must be removed from the vehicle completely to slide the bushing onto the bar from the end. Moog has included a slit down the side of these sway bar bushings to make installation much easier. Simply remove the bracket, toss the old bushing, slip Moog's Synthetic Fabric Lined sway bar bushing onto the bar and tighten down the bracket. No need for messy grease upon install or later maintenance. This is one of the easiest Do It Yourself suspension projects you can take on.